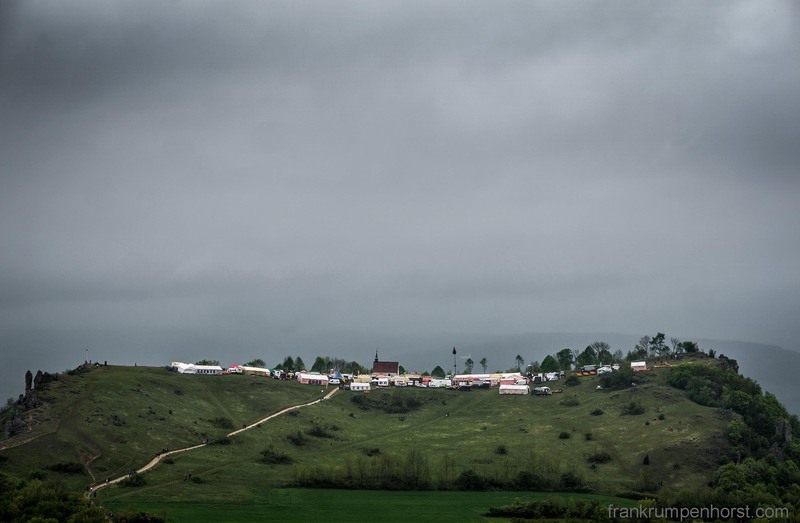 What may look like a very remotely located beer festival on a gray day actually is a very remotely located beer festival on a gray day on Walberla mountain about halfway between Bamberg and Nuremberg in Franconia, Bavaria, May 03. The ‘Walberlafest’ can be traced back to 9th century May celebrations on this site with its stunning view (and its strange name) that was already populated in the Bronze Age. This entry was posted in bavaria, beer festival, festival, germany, Photo, Photography and tagged bavaria, bayern, beer, celts, fest, festival, franconia, franken, public festival, walberla, walberlafest. Bookmark the permalink. Not only it looks amazing but it also celebrates a beer festival… Paradise!